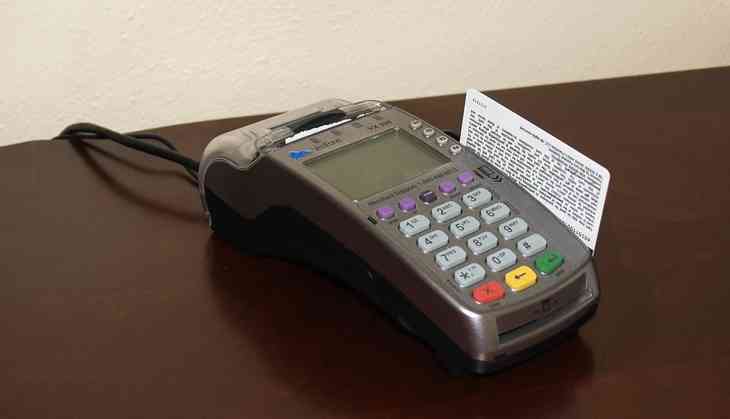 Restrictions on cash dealings of Rs 2 lakh or more will not apply to credit card bill payments, business correspondents appointed by banks and issuers of prepaid instruments, the revenue department has said. The Finance Act 2017 banned cash transaction of Rs 2 lakh or above with effect April 1, 2017. However, some exceptions were made. Through a notification, the Income Tax Department has exempted five entities from the purview of this Section. These include receipts by a business correspondent on behalf of a banking company or co-operative bank; and receipt by a company or institution issuing credit cards against bills raised in respect of one or more credit cards. Receipt from an agent by an issuer of pre-paid payment instruments, receipt by a white label ATM operator from retail outlet and receipt which is not includible in the total income under clause (17A) of section 10 of the I-T Act, 1961, have been excluded from the purview of the Section 269ST. "The notification shall be deemed to have come into force with effect from the April 1, 2017," the revenue department said. The notification is dated July 3. Nangia & Co Director Shailesh Kumar said this would provide much needed relief to the banking sector and also to the rural sector and remove hardship in these genuine cases. "In order to provide relief to certain genuine cases, which are also regulated under various other government laws relating to banking and payments, the government has now issued a notification exempting certain cash transactions from this limit," Kumar said. Earlier, the department had said that the Rs 2 lakh restriction will not apply on receipts by government, banking company, post office savings bank or co-operative bank. The section inserted in the Income Tax Act from the beginning of this fiscal bans cash dealings of Rs 2 lakh or more on a single day, in respect of a single transaction or transactions relating to one event or occasion from an individual. Contravention of Section 269ST would entail levy of 100 per cent penalty on receiver of the amount. The move to ban cash transaction above a threshold was aimed at curbing black money by discouraging cash transaction and promoting digital economy. The tax department has already advised people having knowledge of such cash dealings to tip-off the tax department by sending an email to blackmoneyinfo@incometax.gov.in . This email address was started in December last year post the demonetisation of 500 and 1,000 rupee notes. It had then asked people having knowledge about conversion of black money into white to inform the government through this mail id. Post the demonetisation of 500 and 1,000 rupee notes, people with unaccounted wealth had illegally converted their black money held in old notes to new 500 and 2,000 rupee notes.